Black/Yellow - 600mm x 4.4 metres. 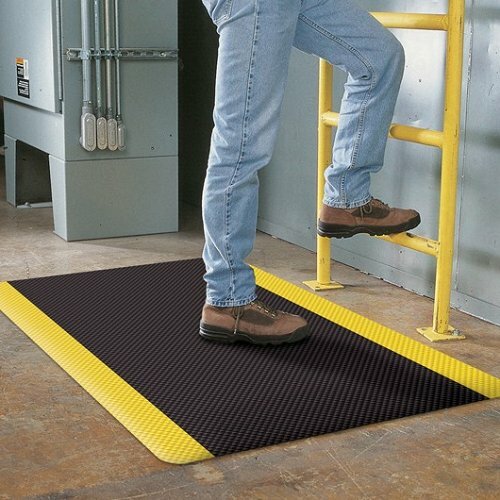 Provides unparalleled comfort compared to other composite anti-fatigue mats. Aggressive 5mm RUBBERISED durable top surface bonded to our 12mm ergonomic PVC closed cell foam. 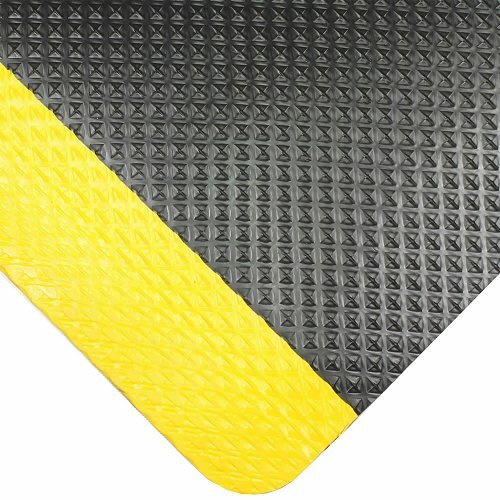 Revolutionary RUBBERISED surface provides IMPROVED TRACTION. Rubberised top surface with large industrial pyramid design provides compression as well as displaying DUAL COMPRESSION-DEFLECTION properties between the top surface and the ergonomic foam. Rubberised wear-surface outlasts other wear-surfaces. 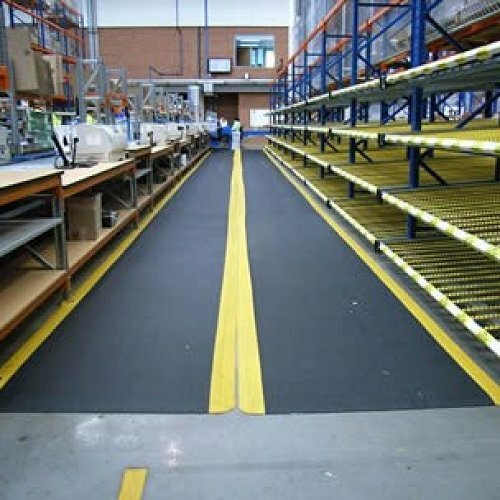 Wear-surface will resist most common chemicals.Significant increase in coefficient of friction (traction) wet and dry as compared to the best wear-surfaces in the industry!